WPC 80 - whey protein concentrate - Exeller N.V.
Whey protein concentrate WPC 80 is made of whey obtained in cheese production and spray dried. 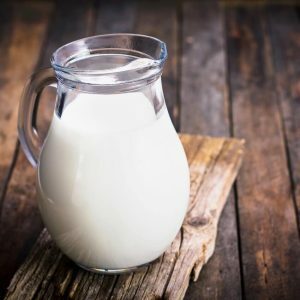 It is intended for all consumers, except for persons with lactose intolerance. Dairy, bakery, frozen products, supplements, beverages, special diet foods, sweets, mayonnaise, sauces, etc. Texta Soja™ 50/35 is made of selected, non-GMO soy. Proteins are texturized by extrusion to give them flakes structure leading to a “fibrous and elastic” texture after rehydration. It is used as meat replacements / analogue (beef, poultry, fish…). It provides functionalities such as: chewing texture, water and fat retention, colour, taste or protein supply. Meat-based and poultry-based products, vegetarian food, ethnic products. 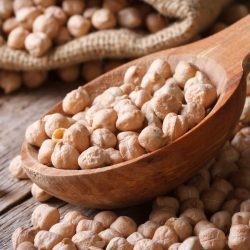 Cicerpro™ 70S is made from chickpeas (Cicer arietinum L.). It an excellent replacement for meat in vegetarian and vegan diets as well as source of vitamins and minerals for everybody. Cicerpro™ 70S has very good solubility and can be used in variety of products where this functionality is required. Meat products, dairy analogs, nutritional products, puddings, mayonnaise, etc. 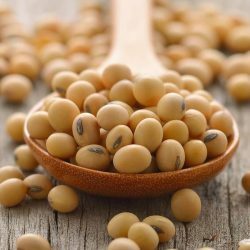 Texta Pois™ 65/70 is made of selected, non-GMO peas (Pisum Sativum). Proteins are texturized by extrusion to give them flakes structure leading to a “fibrous and elastic” texture after rehydration. It is used as meat replacements / analogue (beef, poultry, fish…). It provides functionalities such as: chewing texture, water and fat retention, colour, taste or protein supply. Hamburger, salami, sausage, bolognese sauce, tacos, vegetarian food, meat analog. 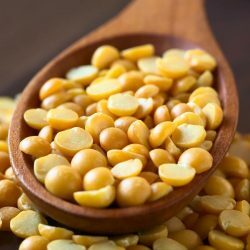 Texta Pois™ 55/80 is made of selected, non-GMO peas (Pisum Sativum). Proteins are texturized by extrusion to give them flakes structure leading to a “fibrous and elastic” texture after rehydration. It is used as meat replacements / analogue (beef, poultry, fish…). It provides functionalities such as: chewing texture, water and fat retention, colour, taste or protein supply. © 2019 Exeller® N.V. All rights reserved.